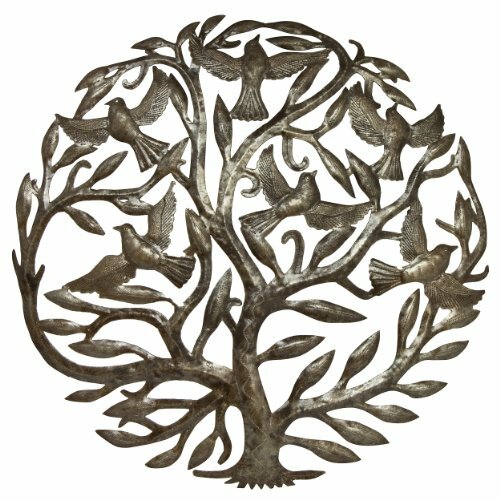 This intricate Tree of Life is made from recycled oil drums in Croix des Bouquets, Haiti by the artist Carlos Brutus. It is 24 inches in diameter. These pieces are representative of the spirituality of Haitian culture. 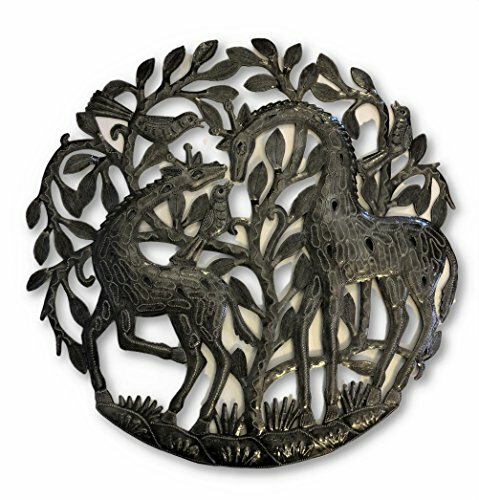 Giraffes Metal Sculpture, Haiti Metal Wall Art 23" x 22.5"
A well-crafted piece of original folk art from Haiti. 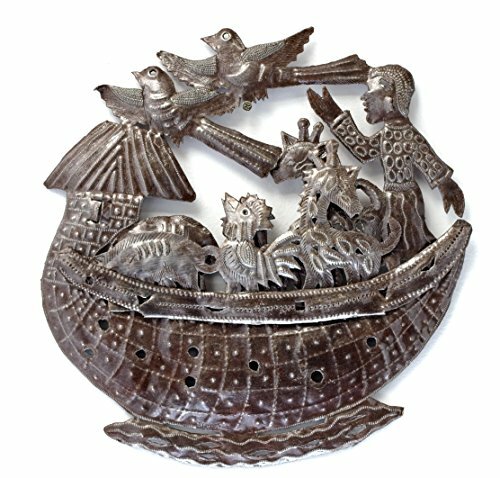 This is a hand-crafted original piece of Haitian metal art, made from discarded steel drums and brought to you through fair trade practices. 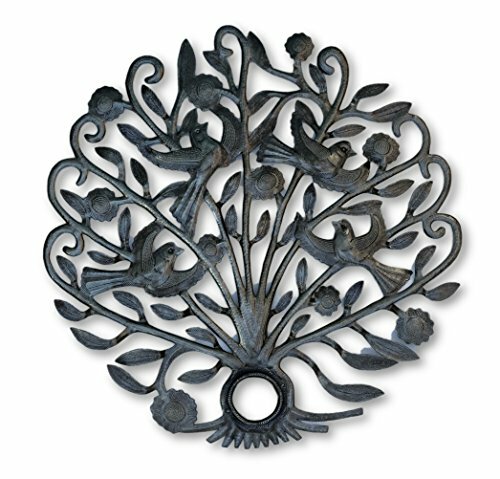 It is created in traditional fashion; the artist utilizing simple hand tools for both the cutwork on the recycled metal and also the intricate detailing. A protective, weather-proof coating has been applied, making it suitable for display indoors or out. Though it is protected with a weather-proof finish, this sculpture will rust over time, if exposed to outdoor weather. To prevent this from happening, grab a can of spray on enamel at the hardware store and go to it. Once a year should be plenty. It's a snap! It's easy to hang your sculpture with just a few nails. Place the first nail within two design elements that are touching or notched. Then use a second and possibly a third nail, if the sculpture is large, to straighten and secure the piece against the wall. Just make sure that you don't place a nail in an eye or a mouth. A viewer's attention will go there quite naturally and therefore, directly to the nail. You don't want that!